Sarawak Energy’s Datuk Torstein Dale Sjotveit and his bosses in the Sarawak State Government have alleged that the anti-Murum Dam blockaders are being incited by NGOs and have painted a picture of trouble-making locals. 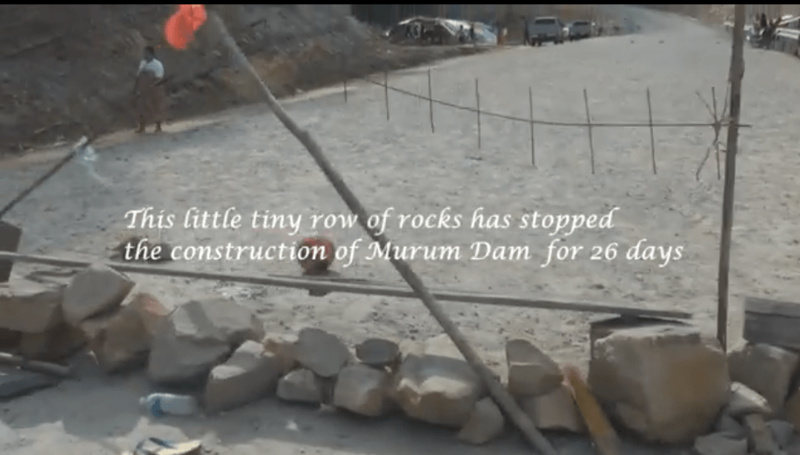 In fact, there has been very little genuine news or information from the distant and isolated dam site, which has been steadily flooding over the past month. Now a new video has been recorded by travellers to the region, which paints a picture of desperate determination in a tiny community set on making their mark for justice. This community of men, women and children have manned their flimsy blockade almost a month in extreme conditions and with few onlookers to mark their actions. But, so far they have held back the police with vehicles and guns, who represent the invaders into their traditional lands, through sheer determination and the righteousness of their cause. These communities were the people whom Taib’s state government should have consulted first, before these territories were logged and destroyed and now flooded. Instead, with arrogance he brushed their rights and interests aside and now from the side of the road they are shaming his methods to the world. The current envoy to the region Minister Liwan Lagang demonstrated those methods in his latest trip to the region, where he required one village Chief to sign a resettlement package on behalf of his longhouse. The Chief explained he could only answer for himself and that his people needed to be individually persuaded. At this point. onlookers have reported, the Minister became very angry and shouted that if this headman could not force his people then he would sack him as village chief. These are Taib’s methods and they show no respect for democracy or the rights of the people. He can win this battle only through the use of his gangsters and guns.